The third Labour government (1972–75) was marked by tragedy when Prime Minister Norman Kirk died suddenly in 1974. His successor, Bill Rowling, was strongly criticised by political opponents as failing to measure up to Kirk. Some considered this criticism unfair and a group of well-known New Zealanders fronted a support organisation called Citizens for Rowling. The cover of their pamphlet, shown here, lists some of the members. 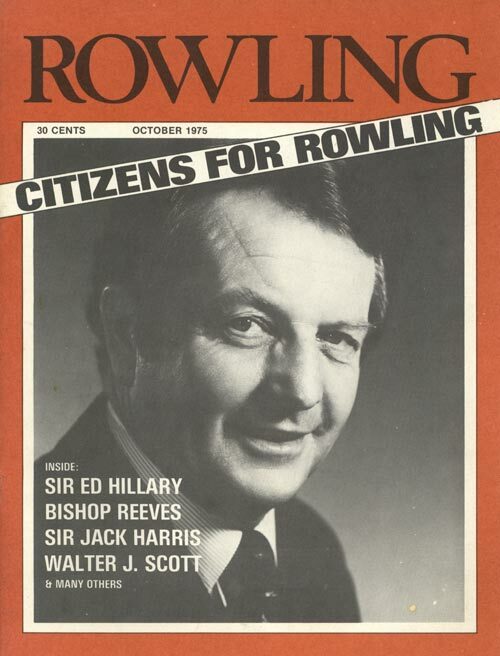 Rowling's government was defeated in the 1975 general election.